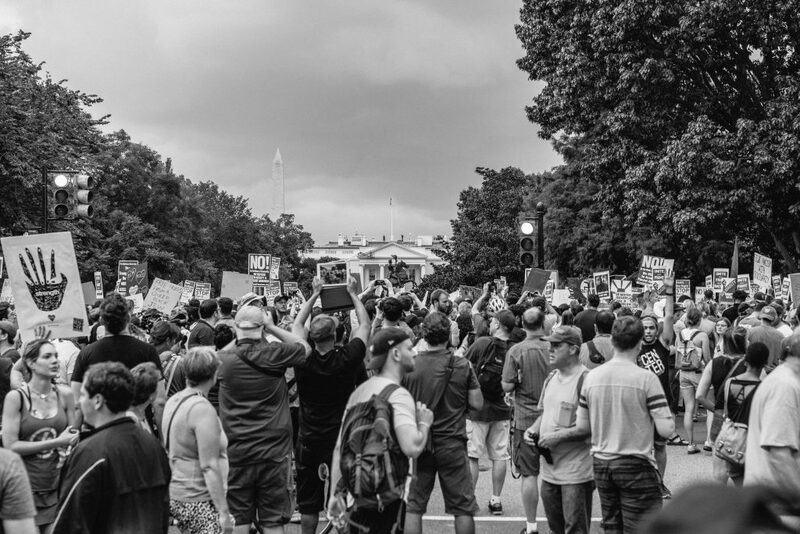 In a staggering demonstration of solidarity, Washington, D.C. showed Jason Kessler and his supporters how they felt about him entering their city. It was a humiliating display for the alt-right and their white supremacist organizer. 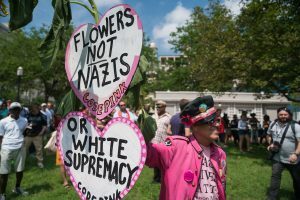 Thousands of anti-racist protesters arrived in Lafayette Park starting around 1 p.m Sunday, later filling the streets and areas surrounding the White House to protest Kessler’s second attempt for a Unite the Right rally. Less than 20 white supremacists arrived in the park later in the afternoon. Heavily guarded by police to minimize violence, the uninspiring group arrived before their scheduled start time of 5 p.m. and stayed for only a short period before being taken away by law enforcement. Heavy rain began around 4 p.m., contributing to the day’s tense, angry atmosphere, and maybe to the early retreat. Although the neo-Nazis arrived early, dozens of anti-racist groups were already present, shouting chants like, “Go home, Nazis!” “Anytime, anyplace, punch a Nazi in the face!” “No Trump! No KKK! 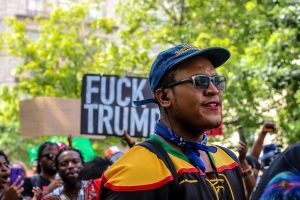 No fascist USA!” and “Black lives matter!” These groups included the D.C. chapter of Black Lives Matter, the People’s Liberation Party, various anti-fascists groups, and the International Socialist Organization. The demonstration comes one year after the Unite the Right rally in Charlottesville, in which nearly 500 white supremacists were met by around 2,000 anti-racist protesters before authorities deemed the demonstration unlawful. That rally ended early and in tragedy, after white supremacist James Fields, Jr. drove his vehicle into a crowd, injuring several and killing local anti-hate protester Heather Heyer. In the days following her death, Kessler tweeted, “Heather Heyer was a fat, disgusting Communist. Looks like it was payback time.” This year, Kessler’s permit to hold a repeat rally in Charlottesville was denied. 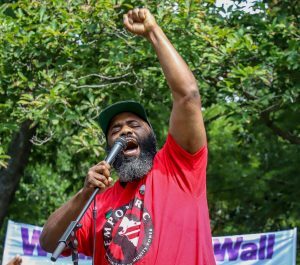 Kessler predicted at least 400 white supremacist supporters would come to the D.C. rally, a vast overestimation. During his 15-minute speech, he largely tried to defend the events of last year and repeated claims that his supporters were not violent, despite indictments, charges, and video evidence to the contrary. 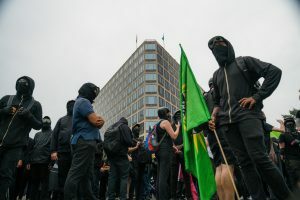 The massive police presence kept the two sides separate, and no instances of violence were reported outside small confrontations between police and protestors towards the end of the rally. 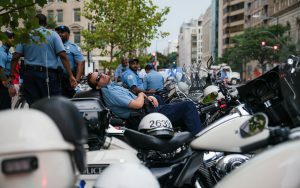 Unlike last year in Charlottesville, D.C. police were able to handle and organize the large number of protesters, who seemingly had coordinated with police before the protests began. “While we are opposed adamantly to what we are going to hear, we know what our responsibility is — to protect First Amendment events, to protect Washingtonians and to protect our city,” said D.C. Mayor Muriel Bowser in a statement. Law enforcement’s greatest challenge was transporting Kessler and his supporters into the city to their permit area. Meeting at the Vienna Metro stop at 1 p.m., Kessler and his group were privately escorted to a separate train car and into the city, then led by police from the Foggy Bottom Metro stop to Lafayette Square. The decision to allow Kessler special transportation is in direct contrast with claims made by D.C.’s transit authorities last week. By 4 p.m., several direct action groups comprised of hundreds of people had flanked either side of the White House on 15th and 17th streets, attempting to block all points of entry for both police and Kessler’s group. 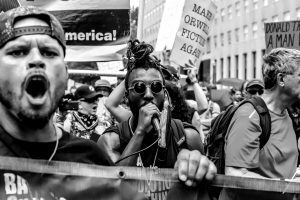 Although the crowd lessened by 5 p.m., many anti-fascists on 15th Street were confronted by police from the Secret Service leading to a minor confrontation. Some threw eggs, others tore flags, lit smoke bombs, and set off fireworks; some became aggressive toward photographers and journalists, who anti-fascists see as profiting off their fight against those they describe as dangerous white supremacists. Many counter-protesters carried blunt force weapons, such as crowbars, metal poles, and golf clubs. When police announced that Kessler’s group had left, many anti-racist protesters became frustrated and remained in the area for conversations and spontaneous displays of solidarity. Although there were some reports of conflict between police and protesters, no arrests were made during this time. Police kept a relatively hands-off approach towards the anti-racist protesters, upholding reasonable distances and maintaining perimeters. Many organizations and local businesses created plans in anticipation of the rally. Although Washington, D.C. is often seen only as the nation’s Capitol, it is a vibrant city comprised of people from all over the US, including those from Northern Virginia and Southern Maryland. Many businesses owners prepared statements warning against any hateful presence in their restaurants and shops, confirming their right not to serve anyone who doesn’t uphold their conduct protocols. The D.C. chapter of Black Lives Matter did their own form of preparation, beginning Friday with a day-long training workshop to prepare protestors for what they might expect from white supremacist protesters, what they might expect from police, and how to handle those situations. 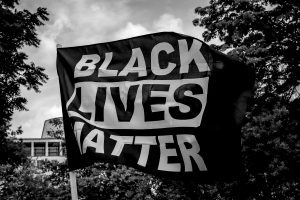 Black Lives Matter had prepared for several instances in which violence may erupt, but luckily none of those strategies were necessary. Most of the anti-hate protesters promoted peace and love, and many gave out free hugs, snacks, and water. Antonio Mingo, a member of anti-hate group Making A Difference, was one of these protesters. Mingo and others handed over large amounts of cash to approaching vendors, taking some bottles for free distribution, and instructing the vendors to use the leftover money to supply free water to others. Despite the tension, today was a victory for anti-racists, anti-fascists, and those who resist hate. 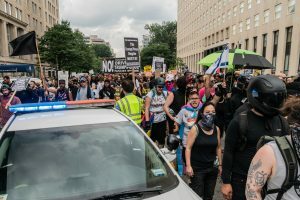 Their concerted effort to show a united front against white supremacy and hate resulted in an entirely lackluster performance from Kessler, who essentially ran from the area, cowering behind police lines. This comes as no surprise since Kessler’s support within his own community has dwindled over the past year as backlash from the first Unite the Right has revealed the alt-right as unforgivably hateful, and placed many hate groups in extensive legal trouble. John Donegan contributed to this report. Pictures by Branden Wilson and Landon Shroder.